Build your skills, learn with some hands-on experience, and have a ton of fun with these electronics kits you can check out and take home. Make you own music by making your own intsrument! This kit contains everything you need to build a working miniature synthesizer. For more info, complete kit contents, and project suggestions and instructions, see the product website. 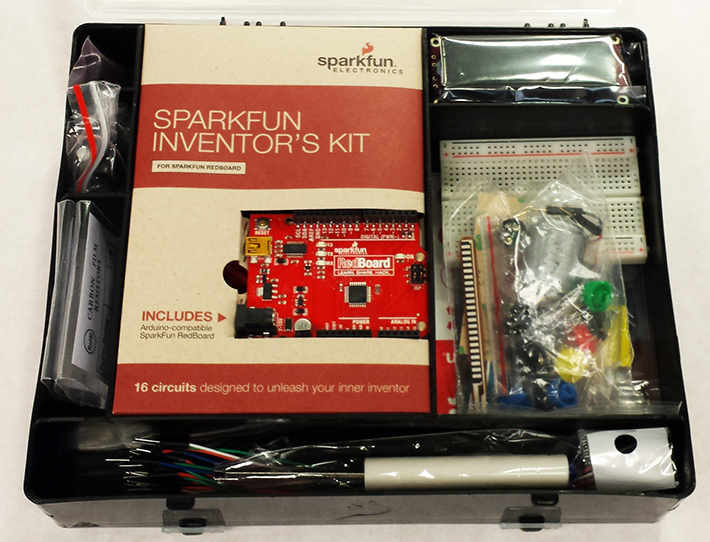 This kit includes a Raspberry Pi 2 and the accessories you need to make something awesome. A booklet with suggested projects and instructions is included, but you can check out the Kano website for full specs and more ideas. Explore the possibilities of Web-enabled home automation with this versatile project kit. 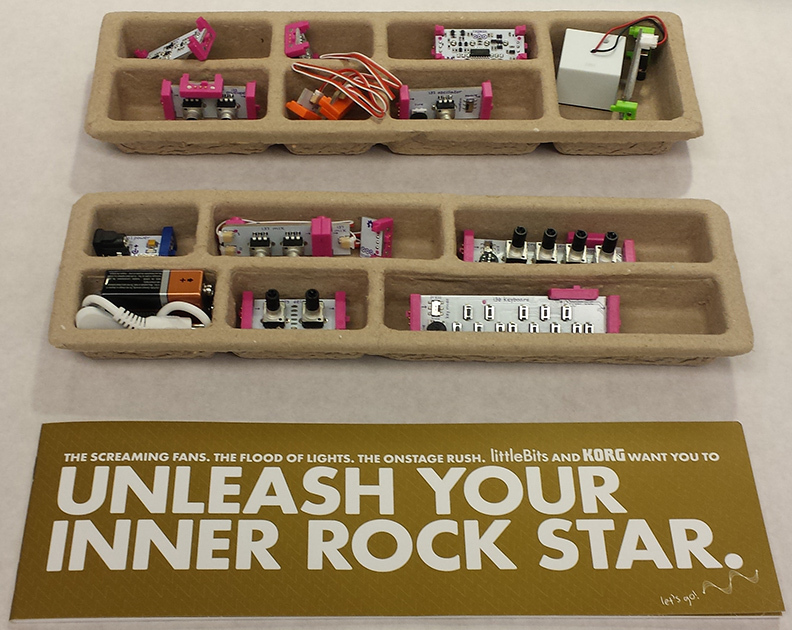 Full specs, as well as projects and instructions, are available on the littleBits website. Explore hardware and embedded programming with this Arduino-enabled kit. See the product website for full specs and kit contents.